The FIFA BEST is an award given to the best male footballer who played a pivotal role for his respective club and country in the past one year , contributing to his team in the domestic and continental competions . The inaugral award ceremony was held in zurich , Switzerland on 9 jenuary 2017 . 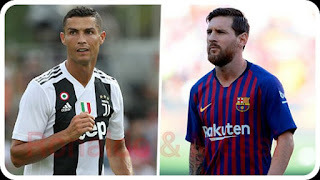 The main aim of this award was to revive the FIFA world player of the year which was merged with France football ballon d'or to become FIFA ballon d'or , the inaugral award was won by portuguese international Cristiano Ronaldo , having led Real Madrid to the champions league triumph , beeting his eternal rival Lionel Messi who help Barcelona to win their domestic double. FIFA has release the 10 man shortlist for the FIFA best men player 2018 award based on their their archievement for thier various club and country from 3 july 2017 to 15 july 2018. The Argentine won the domestic double with barcelona , scoring 34 goals and providing 12 assist as he went on to win the La Liga golden boot award (pichichi) though he failed to hit the ground runing in the champions league as Barcelona were knocked out by As Roma in the quater final . The Portuguese international was Real Madrid star man in their champions league winning campaign , scoring 15 goals as he went on to win the golden boot , he also helped Real Madrid to win the FIFA club World cup in UAE , Ronaldo scored 4 goals in the World cup in Russia . The belgian international was a key part of Manchester City record breaking campaign , scoring 11 goals and providing 18 assist as Manchester city went on to win the Premier League and Capital one cup , he also help Belgium to win the bronze madal at the FIFA World cup in Russia . Griezman played a pivotal role in Athletico Madrid Europa League triumph , scoring 6 goals and adding 2 assist to his name , he also played a key role in France World cup winning campaign as he was awarded with Adidas silver boot and Adidas bronze ball. The Belgian playmaker was intrumental in Chelsea FA cup campaign , scoring a decisive goal against Manchester United in the final , he also inspire Belgium to bronze medal at Russia 2018 World cup i, he was named man of the match in four occasions as he went on to claim the World cup Adidas silver ball . Harry Kane enjoyed a great premier league campaign with Tottenham Hotspur , scoring 30 goals as Tottenham went on to finish third in the premier league , he also helped England to their best World cup finish since 1990 scoring 6 goals as he went on to win the FIFA Adidas golden boot . 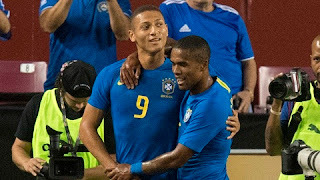 The young french international had a succesfull campaign with PSG scoring 13 goals and adding 8 assist in ligue 1 as they went on to win domestic treble , he became the second youngest player after Brazilian legend pele to score in the FIFA world cup final as he went on to win the FIFA young best player of the tournament . He played a pivotal role in Real Madrid champions league and club world cup triumph , he captained Croatia to their first ever world cup final appearance where he went on to claim the Adidas golden ball . The Egyptian helped Liverpool to reach the UEFA Champions league final for the first time since 2007 but were beaten by Real Madrid , he scored 32 goals in the premier league as he was voted the PFA player of the year beating Manchester City star Kevin De Bruyne to the award . The french defender helped his country to victory at Russia 2018 world cup , scoring a vital goal against Uruguay in the quater final, he was also instrumental in Real Madrid champions league and club world cup win .